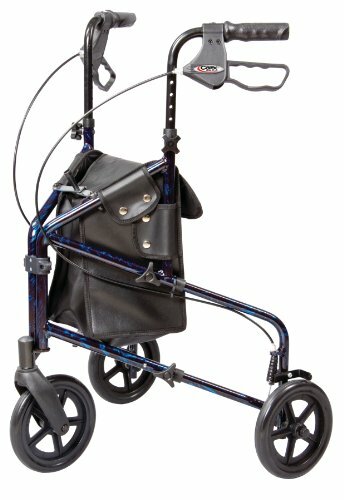 The trio rolling walker provides mobility and comfort for individuals with an active lifestyle. The unique slim design allows you to move around easily, indoors and out. This rolling walker is lightweight for easy transportation and quickly folds for convenient storage in the trunk or behind the car seat. It is equipped with locking hand brakes for safety, as well as a large carry bag for personal items. Quick tool free assembly.